Our Oxford Decorator Centre offers the usual in-store options of trade and designer paints, wallpapers and fabrics, and a selection of useful decorating products and equipment. If we don’t carry the stock, we can quickly order it in; all you need to do is ask. Our team makes service a priority, and with 80 years of industry knowledge between us, we’re an invaluable decorating resource. You can also book an interior design consultation here in store, or ask us to make a site visit to assess product requirements specific to your project. 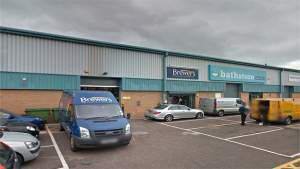 You’ll find Brewers Decorator Centre away of the hustle and bustle of Oxford’s central area. We’re on Harrow Road next to Topps Tiles, across the road from Lidl at the Watlington Road/Transport Way traffic lights. We’re only a couple of minutes from the bypass. Travelling towards Cowley along the B480 go strait over at the traffic lights passing Sandy Lane on our left, take the next left just after the store into the trading estate.